RBNY vs Wizards: Massive Bouna! What can I say except: It's Bouna Time! Red Bulls midfielder Dane Richards scored a goal in the sixth minute and that was it. 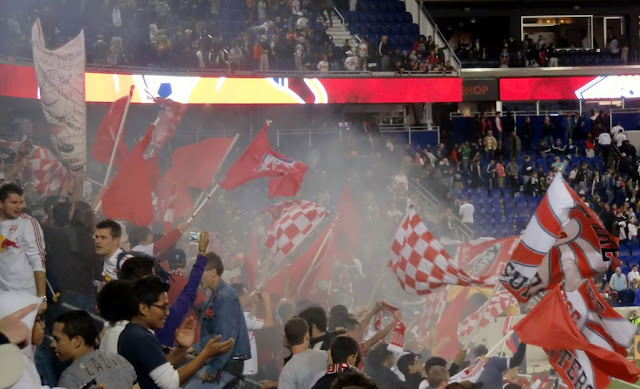 The Red Bulls then withstood a barrage from the Kansas City Wizards, a team fighting for its playoff life, and recorded a 1-0 victory to the delight of the almost 25,000 @The Cathedral of Football. The Wizards had 26 shots, to the Red Bulls 10, but, in the end, it was the Red Bulls who walked away with all three points and first place in the Eastern Conference (thanks to the San Jose Earthquakes, who held Columbus to a 0-0 draw). 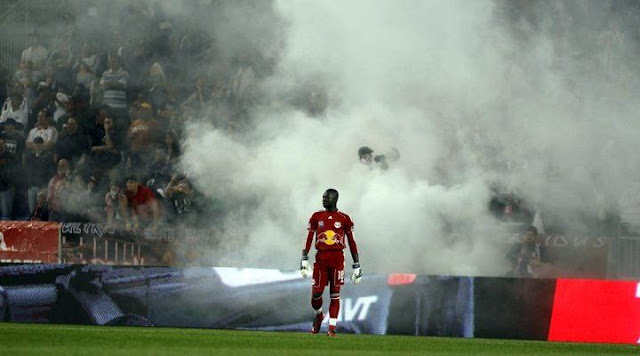 With several great chances squandered by the likes of Thierry Henry, Juan Pablo Angel and Dane Richards, it was the stellar goalkeeping display by RBNY keeper Bouna Condoul that preserved the victory. I'm telling you, this guy performed a minor miracle in keeping a clean sheet against KC. Without Rafa Marquez in the lineup, the Red Bulls defense struggled and was breached time and time again. Bouna, as they say, "Stood On His Head" and stuffed the Wizards time after time. He stopped 12 shots on goal and came out to stop several other KC opportunities, some of them at the feet of the attacking players. A big time performace from the Senegalese International. He was Man Of The Match, without question! As a matter of fact, he's just been named MLS Player Of The Week for his performance against KC. So, yes, it was an ugly win, but a win nonetheless. I'll take an ugly win over a pretty loss anytime, thank you very much. Here's hoping Rafa Marquez will be back for next Saturday's game. Please see the above video for pre-match drunken comments. You can click here for half-time drunken comments and click here for full time drunken comments. It was great to see the Cathedral of Football at near capacity, considering that KC is not one of the League's big draws. I had a great time once again in the GSS section (133) but it was interesting. The whole back row of the section was full of KC fans who, apparently, didn't know that if you travel to see your team play away, you're not supposed to get tickets in the Home Supporters sections. Please click here for my photo album of this game, or you can click here for the slideshow. You can click here for the official photo album, courtesy of Red Bulls Official on Facebook.